Bring on the cheese and please, bring on the cocktails! For the first time, specialty cocktails will be served at the California Artisan Cheese Festival’s Sunday Marketplace at Grace Pavilion at the Sonoma County Fairgrounds. Of course, cheese is front and center as the California Artisan Cheese Festival kicks off this Saturday morning with eight fabulous full-day Farm and Producer tours all around Sonoma and Marin Counties (there are a few remaining spaces in five of these tours) as well as educational seminars and pairing demos in the morning and afternoon at Santa Rosa’s historic mid-century Flamingo Hotel. Led by cheesemakers, cheese experts, bestselling authors and luminaries of wine, craft cocktails, ciders, and beers, these seminars ($75-$85) are a convergence of expertise and passion. Each seminar entails informed tasting, useful science and lots of ideas for inspired pairings. This year’s Seminar #5 “Cheese & Cocktails: The Basics of Bitters, Booze and Cheese,” promises to demystify the universe of bitters and help identify the cheeses that will round out cocktails like Manhattans and Mai Tais. Saturday evening’s new event, “Cheese, Bites & Booze!” at the Jackson Family Wines Hangar at the Sonoma Jet Center is sold out as is Sunday’s celebrity chef gourmet brunch. Sunday’s Artisan Cheese Tasting and Marketplace, from noon to 4 p.m. at Grace Pavilion, at the Sonoma County Fairgrounds, is the event’s grand finale ($50). If you never attended the festival before, it’s an excellent introduction. The soirée is abuzz with energy, bringing together over 125 leading artisan cheese and food producers, winemakers, brewers, specialty spirit producers and makers for a final round of indulgence as participants chat, taste, sip, shop while meandering through a delightful epicurean maze. Everyone brings home an Artisan Cheese Festival insulated cheese tote bag, a wine glass, and oodles of ideas for elegant home gatherings. And most importantly, new and dear cheese friends. It was ARThound’s pleasure to speak with Phaedra Achor about Monarch Bitters, which will be featured in Saturday’s seminar, “Cheese & Cocktails,” Saturday evening’s swank “Cheese, Bites & Booze” event at the Jackson Family Wines Hangar, and Sunday’s Artisan Cheese Tasting and Marketplace. Phaedra Achor: Bitters are high ABV (alcohol by volume), mine are 40-44%, and extracts that are created by macerating alcohol with any number of botanicals and aromatics such as spices, barks, roots, fruits. My syrups have no alcohol content, and are infusions. What’s behind the name “Monarch Bitters”? Phaedra Achor: I’ve always been very drawn to the monarch butterfly, its beauty and place in the world, its journey and metamorphosis, all of which are very symbolic for me. Another piece fits in with my logo—a woman wearing a crown of wild flowers. Since this is a botanically based product, I really wanted to convey the message of a strong and purposeful woman, a monarch of the forest, who is using the power of botanicals to create. When and how did you start Monarch Bitters? Phaedra Achor: I love flavor chemistry, especially working with plants and botanicals to create flavor profiles. In 2015, I hosted a cocktail party and wanted to do something very different, so I started planning a few months early. My idea was to create five unique cocktails. In my research, I came across these wonderful pre and post-Prohibition cocktails, all of which called for bitters. I remember looking into bitters and thinking ‘I can do this.’ I ended up using barks and roots and herbs and spices and I created five bitters, one for each of the cocktails I served. It was a huge hit. At some point during this gathering, I walked into my living room and found this woman, a guest of a guest, someone I did not know at all, sniffing my tincture bottles. She asked where these bitters came from. I told her I made them all and she was blown away. She explained that she was a bartender and that my bitters were far superior to what she was using and she offered to connect me with the owner where she worked. I never followed through on that, but she planted a seed at just the right moment. She left and I never saw her again but she was vital. After that party, I started researching who was making bitters in Sonoma County, no one, and the craft cocktail industry. I learned that people were using bitters like cooks use spices in the kitchen, so I thought this was a very interesting niche. I was surprised that no one was doing this in Sonoma County because we are such an artisanal community. I spent all of 2016 researching and reformulating and that’s because a lot of the botanicals I had chosen to use were considered dietary herbal supplements by the FDA. I had to decide if I wanted my business to be categorized as a medicine, a dietary herbal supplement, or if I wanted it to be food bitters. I’m not an herbalist and wasn’t interested in making herbal medicine, so I had to make some changes. I launched in 2017 and from there, it just taken off. Those contests which have recognized my bitters have been such a complement and honor and really fueled my business. How do you come up with your flavor profiles, which are so unique? Phaedra Achor: The ideas just come to me. I think this comes from my culinary background. It’s taken a long time for me to own this and to state it out loud but I have ‘flavor wisdom.’ I just know how flavors will come together and taste. Aside from the orange, lavender and aromatics, which are quite common bitters flavors, I have very intentionally created flavor profiles that didn’t previously exist outside of my brand, such as cayenne ginger, bacon tobacco, and honey aromatics. I recently created a smoked salt and peppercorn bitters, which is also a fantastic culinary bitters. Bitters can be used widely and people just aren’t aware of their versatility. Aside from alcohol, bitters can be added to sparking water, lemonade, teas, coffees and in baking and cooking to replace an extract. I’ve added my cherry vanilla bitters to whipped cream and it creates a wonderful cherry cordial whipped cream with a gorgeous flavor. Is there a reason why you use dropper bottles? Phaedra Achor: Yes, it’s for accuracy and it recalls the history of bitters, which were initially used as medicine. When I’m using the dropper and drawing up the bitters, it feels healing and right. What the best way to taste bitters? Phaedra Achor: If people want to taste bitters straight, I will have them make a fist and hold out their hand upright, like they were holding a candle. I’ll put a little drop right into that little divot between the thumb and index finger and they can taste it with their tongue. Your ideas for bitters and cheese. Phaedra Achor: I tend to like softer, creamier cheeses, like bries. Typically, the astringency of high fruit alcohol can be challenging with foods, so for a cocktail, I tend to go with a lower AVB (alcohol by volume) content found in sherries or brandies and add my bitters to that when I want to indulge in cheese. I’ve also taken my Citrus Basil Bitters and mixed it with honey to create a bittered honey to use as a pairing with cheese. Bitters, adding bitter to the palate, can create wonderful opportunities to pair with food and cheese. When it comes to cheeses, I work more with my citrus and aromatic flavors. 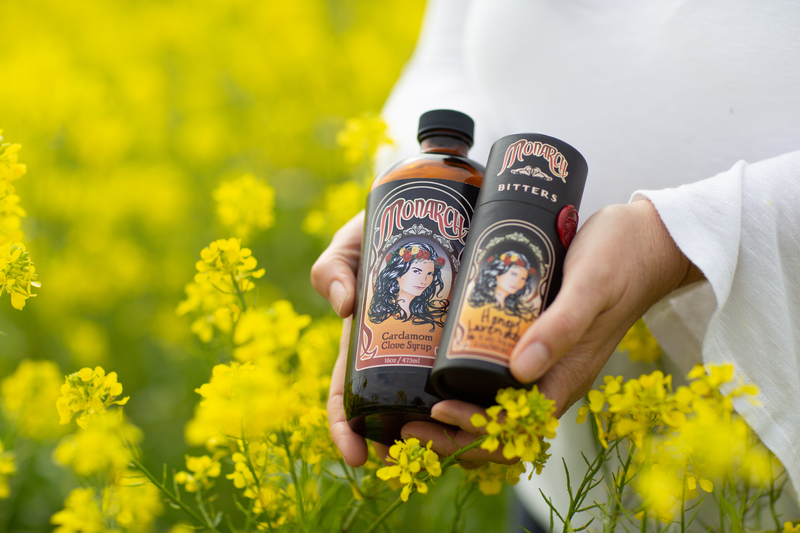 What’s next for Monarch Bitters? Phaedra Achor: I am working on opening up a little apothecary in downtown Petaluma that will be a storefront for all of my products and hope to be open in June. Right now, I am one of three bitters companies in the North Bay (King Floyd’s, Bitter Girl Bitters) and on Sunday, March 31, we will all be competing in The Bitter Brawl at Young and Yonder Spirits in Healdsburg. This is a benefit for Compassion Without Borders. We’ll each be paired with a bartender and will compete to create the best cocktail. Details: California’s 13th Artisan Cheese Festival is March 23-24, 2019 at various cheese country locations in Sonoma and Marin counties. Tickets for all festival events are sold separately online. All events take place, rain or shine. It happens every March—people from round the country gather for the California Artisan Cheese Festival and a weekend of cheese and all it can be paired with. Tickets are on sale now for the two-day festival, which turns 13 this year, and is now headquartered at the Flamingo Hotel in Santa Rosa. If you are interested in a farm tour, buy your tickets now. Who wouldn’t be? Nine wonderful tours kick off this year’s festival on Saturday morning and they all include an upscale lunch as well as lots of interaction and sampling. 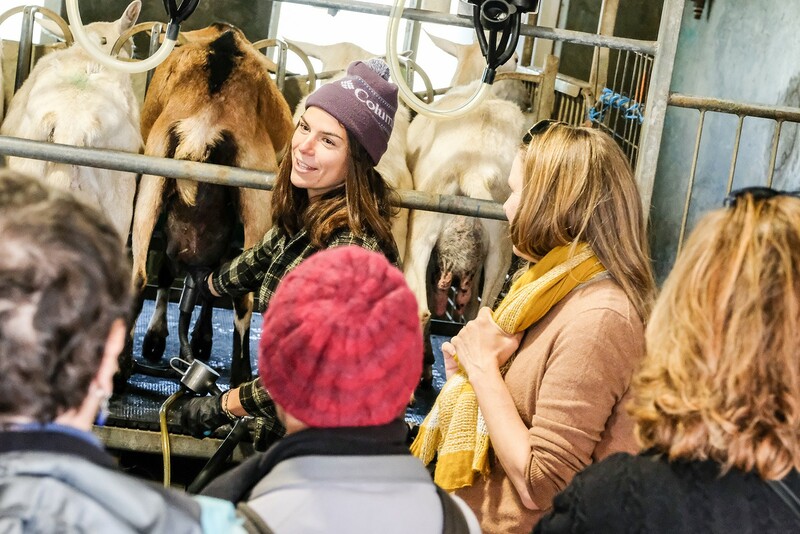 You get to meet innovative local cheesemakers and “ooh and ahh” their baby goats in bucolic abodes, as well as sample and learn about artisan delicacies that pair well with cheese. Back in town, at the Flamingo Hotel, the festival offers five interactive seminars with bestselling authors, cult cheesemakers, and luminaries of cocktails, ciders and craft beers. On Saturday evening, a new event, “Cheese, Bites & Booze!” at the Jackson Family Wines Hangar, promises nonstop fun as cheesemakers, chefs and cheesemongers compete to create the best cheesy bite. Regional artisan wine, cider, spirits, and beer are on the house! Get up early Sunday morning for a scrumptious brunch, at Saralee & Richard’s Barn at the Sonoma County Fairgrounds, featuring cheese in every course and a live cooking demonstration by chefs/owners Daniel Kedan and Marianna Gardenhire of Michelin Guide awarded Backyard Restaurant in Forestville. The weekend concludes with the renowned Artisan Marketplace which brings together leading artisan cheesemakers, authors, and dozens of specialty food, beer, wine and spirit producers for a final round of cheese and shopping. This year, the marketplace will be serving specialty cocktails too. And did I mention samples galore? The festival has non-profit status and its proceeds support California farmers and cheesemakers in their ongoing effort to advance sustainability. For those of lucky enough to live in the heart of cheese land, this is an event that is too good to pass up. Details: California’s 13th Artisan Cheese Festival is March 23-24, 2019 at various cheese country locations in Sonoma and Marin counties. Tickets for all festival events—farms tours, seminars, Saturday evening “Cheese, Bites & Booze,” Sunday morning “Bubbles & Brunch,” and Sunday’s Marketplace— are all sold separately online. All events take place, rain or shine. Click here for full information. Chick here to go to Eventbrite to purchase tickets. Two Latina viticulturists from Sonoma, Vanessa Robledo and her mother Maria Robledo; long-time activist for affordable farmworker housing, Angel Caldero; H-2A temporary worker from Michoacán, René Reyes Ornelas; and Napa winemaker Gustavo Brambila, all co-star in Bernardo Ruiz’s new documentary feature Harvest Season (2018), which has its world premiere at the 41st Mill Valley Film Festival (MVFF41) on Saturday, October 13, 2018 and then will be shown again on Sunday, October 14, 2018. The film is part of the festival’s ¡Viva el Cine! 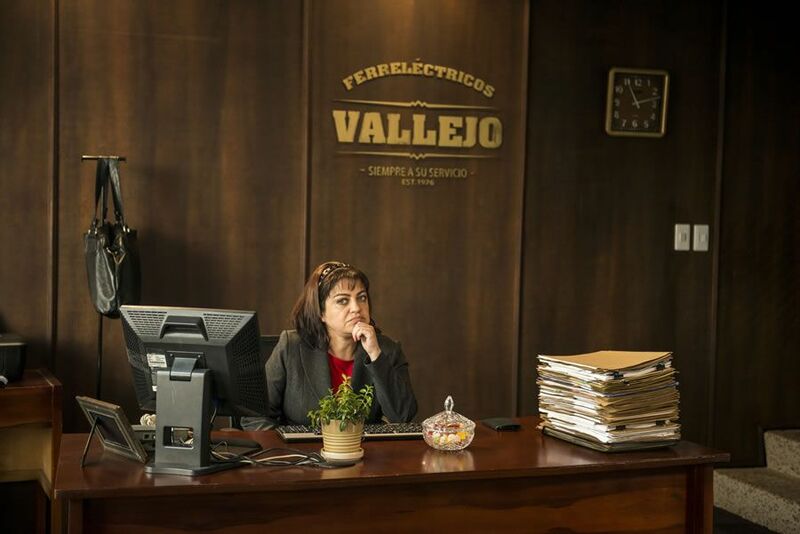 line-up which showcases 15 award-winning Latin American and Spanish language films during the course of the 10 day festival which kicks off Thursday evening. This is Ruiz’s third feature documentary, following Reportero (2012), about violence against the press in Mexico for reporting on drug trafficking and government collusion and Kingdom of Shadows (2015), a front-line view into Mexico’s drug war from the perspective of three workers dealing with its fall-out. The two-time Emmy® nominated filmmaker is also heavily involved in documentary television. When we spoke, he was hard at work on a series he was producing for documentarian Alex Gibney. Ruiz cites two films as highly inspirational: Morgan Neville’s Oscar winning 20 feet from Stardom (2013), which focused a long-overdue spotlight on the contribution of back-up singers to musical hits, and John Else’s Sing Faster: The Stagehand’s Ring Cycle (1999) which presents Wagner’s Ring Cycle from the point of view of the stage hands at San Francisco Opera. Harvest Season tells four stories to shine a light on the hard-working individuals in Napa’s wine industry who have often propped up the rock stars and recently stepped out into their own ventures. 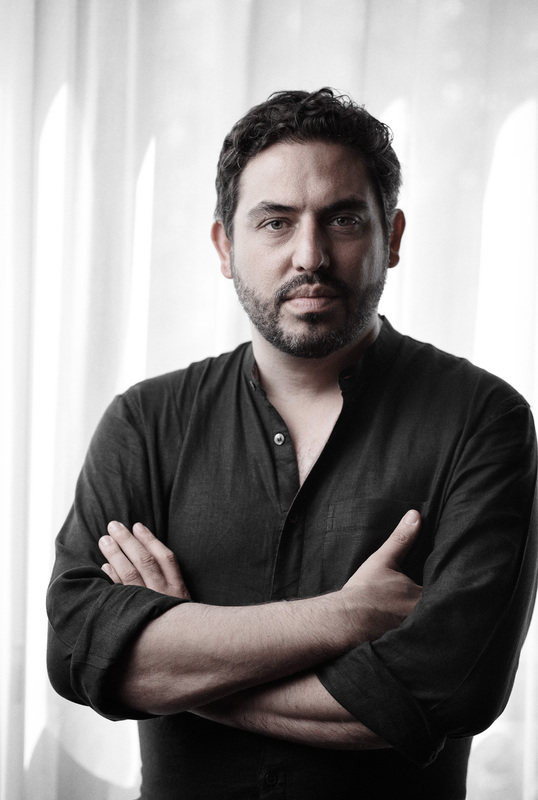 Ruiz was born in Guanajuato Mexico (central Mexico) to an American mother and Mexican father and moved New York when he was six and has lived there ever since. “I’m very interested in stories about immigration and the relationship between the US and Mexico. 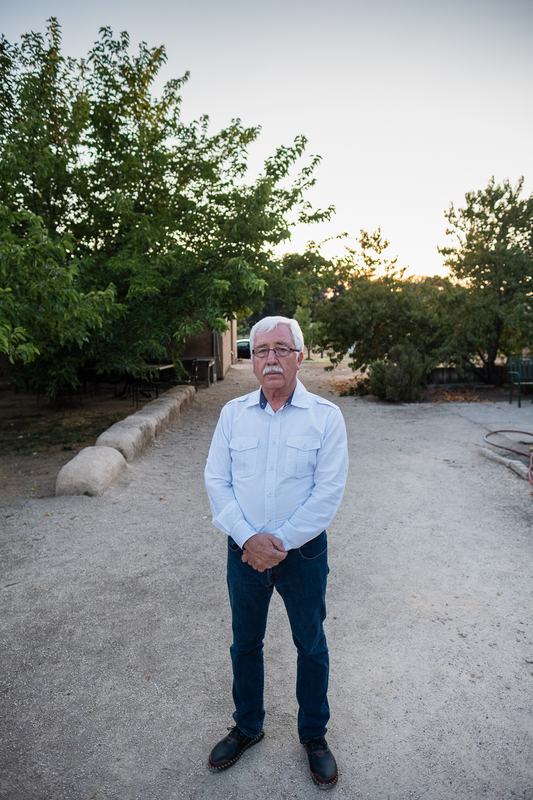 A number of news outlets have done broad profiles of the Mexican-American and Latino vintners and, slowly, we’re starting to see more reporting about that. Mexican-American vintners are the underdogs in the huge Napa constellation and I wanted to explore that further, bring their stories forward. Ruiz began researching the film and doing a little shooting in Dec 2015 but the bulk of filming took place during the harvest in the summer and fall of 2017. He filmed during the fires, which is a thread in the story but doesn’t overwhelm the film. 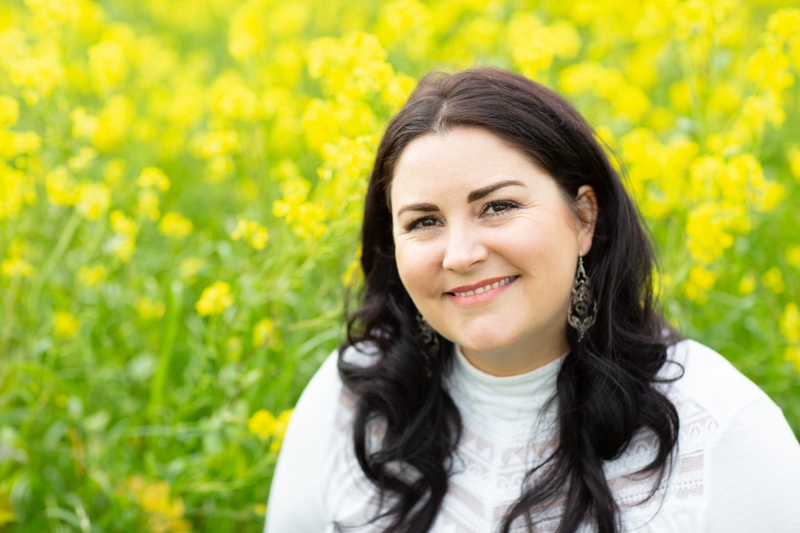 Vanessa Robledo, founder and CEO of VR Wine Business Consulting, was born in Sonoma and is a fourth generation grape grower. 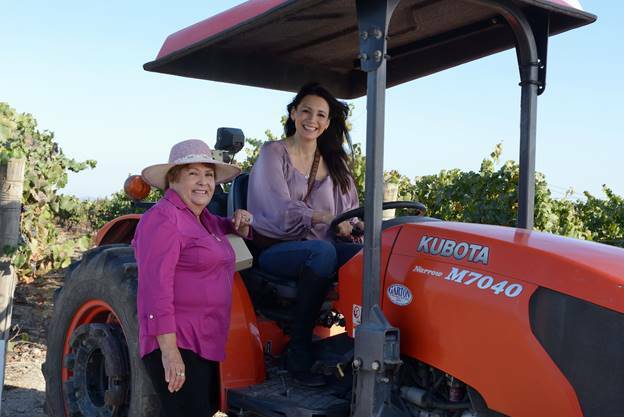 As president of the Robledo Family Winery, started by her father Reynaldo Robledo, she took the winery from a 100 case producer in 1997 to a thriving 20,000 cases by 2007, over 80 percent of which was direct to consumer. She then went on to become majority owner of the successful cult winery, Black Coyote Chateau, where she doubled the company’s production and sales. Maria de la Luz Robledo, Vanessa’s mother, was born in Michoacán, Mexico and followed her husband, Reynaldo, to California in 1973. 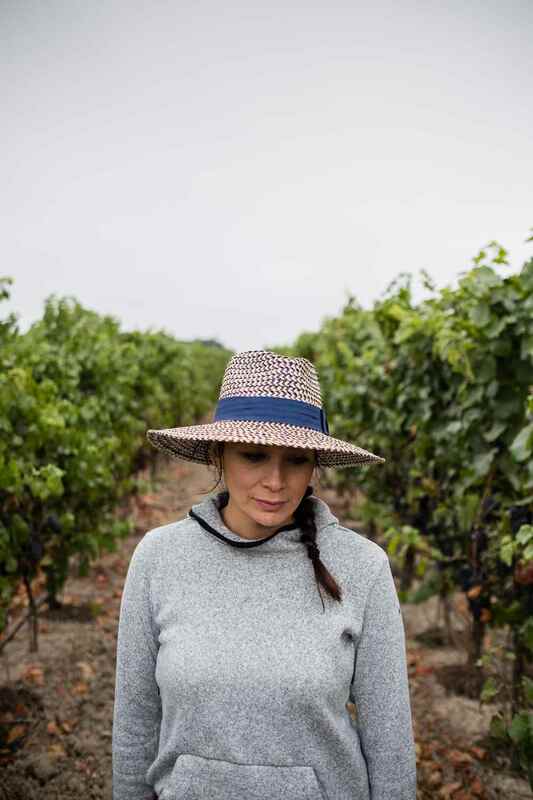 She and Reynaldo worked in the fields, raised nine children, bought land, planted their own vineyards and started their own winery, opening the first tasting room in the US run by a former Mexican migrant vineyard worker. The two women joined forces following a divorce that left Maria reeling and a desire on Vanessa’s part to get back to the land and grapes. They began improving quality, replanting, and renegotiating contracts and are really enjoying collaorating. 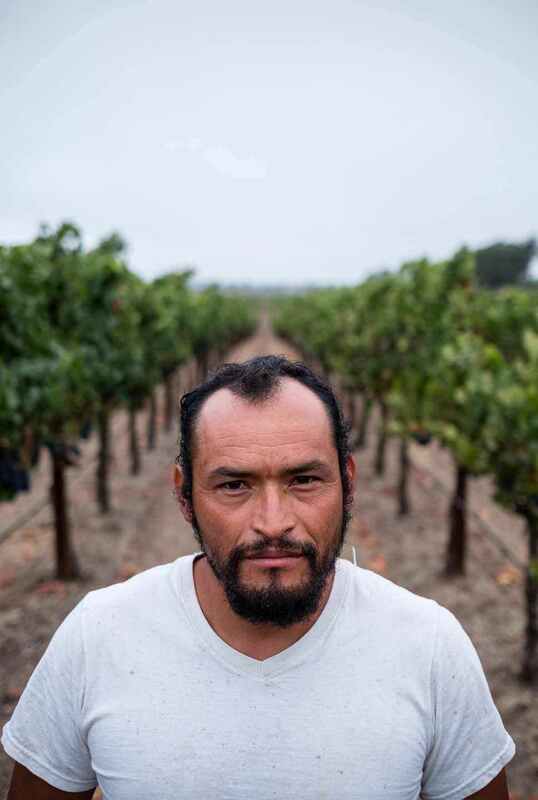 Harvest Season also explores the lifestyles and needs of vineyard workers through the stories of Angel Calderon, who has been active on the housing front for two decades and René Reyes Ornelas, an H-2A temporary worker from Michoacán, Mexico. One of workers’ main concerns is affordable, safe, and convenient permanent housing. Costs continue to rise in Napa County— the median rent is now $2,750 per month and the median home price is roughly $800,000, while many workers are paid $15-$25 an hour. As the labor market shifts from a migrant to a year-round workforce, affordable housing is more critical than ever. Angel Calderon immigrated to the US in 1980 and worked as a cook at Silverado Country Club and Meadowood and, even then, affordable housing was an issue. Calderon manages River Ranch Farm Workers Housing (three housing centers) in St. Helena which provides no frills housing at roughly $14 day for farm workers and is vital in ensuring that workers needs are met. While documenting the Mahoney harvest in Napa, Ruiz met René Reyes Ornelas, a 41 year-old Mexican farmworker who became one of his central characters. California employs about one third of the nation’s roughly 2.5 million farmworkers. With immigration raids occurring across the state, growers and labor contractors are increasingly relying on the H-2A, or guestworker program, which permits the importation of foreign nationals into the U.S. in order to fill temporary agricultural jobs. This was René’s second harvest in Sonoma. The nine months he spends away from his wife and two daughters is burdensome but, in the wine country, he earns in an hour what he earns in a day driving a truck back home in Michoacán. 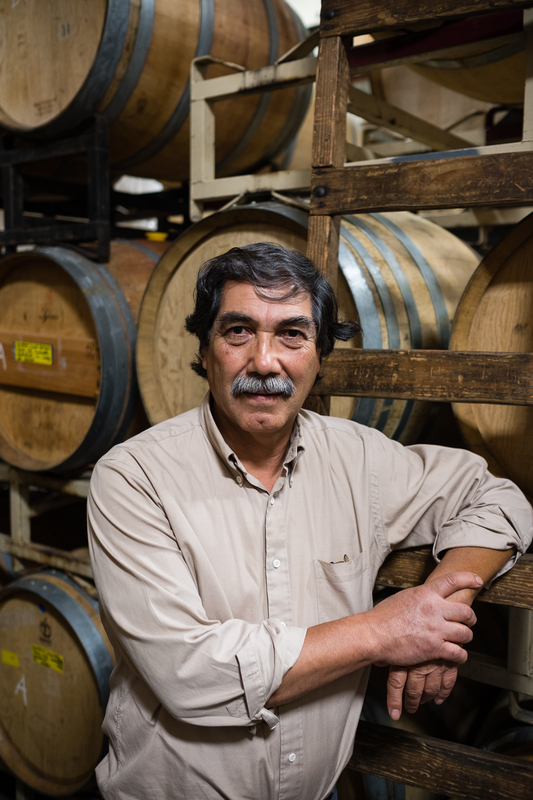 Gustavo Brambila is a Napa Valley winemaker who was one of the first Mexican-Americans to earn a degree in fermentation science from UC Davis. If the name Brambila is familiar, Freddy Rodriguez portrayed him in the famous film, Bottle-Shock (2008). Brambila was at Chateau Montelena in 1976 when the famed “Judgment of Paris” blind tasting took place that pitted the some of the finest wines in France against unknown California wines. It was a 1973 Chateau Montelena Chardonnay created by Mike Grgich, who was then the chief winemaker at Montelena, that beat out the French white burgundies. After the big win, Grgich branched out on his own and Brambila followed to work as winemaker and general manager for Grgich Hills. After 23 years, in 1996, Brambila created his own label Gustavo Wine. By 2002, he had started his own winery and vineyard management company. He does things a little differently: officially, he is based in Napa’s Crusher District and leases vineyards to get the grapes and his son runs the vineyard management company that cares for them. This allows Brambila to operate with more freedom, less regulation and at much less cost than actual land ownership. To read ARThound’s article about MVFF’s wonderful ¡Viva el Cine! programming, with film recommendations, click here. Details: Harvest Season has its world premiere and screens twice at MVFF41: Saturday, Oct 13, 2 pm at Sequoia Theater and Sunday, Oct 14, 2:45 pm at Larkspur Theater. Purchase tickets here. The forty-first edition of the Mill Valley Film Festival (MVFF41) kicks off Thursday (Oct 4) with two big opening night films—Matthew Heineman’s bio-pic, A Private War, starring Rosamund Pike as tenacious Sunday Times war correspondent Marie Colvin and Peter Farrelly’s drama, Green Book, which takes us on a tense 1962 concert tour in the American South with Mershala Ali (Moonlight, MVFF2016) as black jazz pianist, Dr. Don Shirley, and Viggo Mortensen as Tony Lipp, his Italian-American chauffeur and bodyguard. Starting full force Friday and running for 10 days, MVFF41 delivers an exciting line-up of the very best and latest in American indie and world cinema, with more than 300 guests in attendance. Special events—Centerpiece and Closing Night Presentations, Spotlights, Tributes, Special Premieres, the Mind the Gap Summit, Behind the Screens Panels and intimate parties and receptions—bring the films to life, fostering engaging discussion about issues and art. 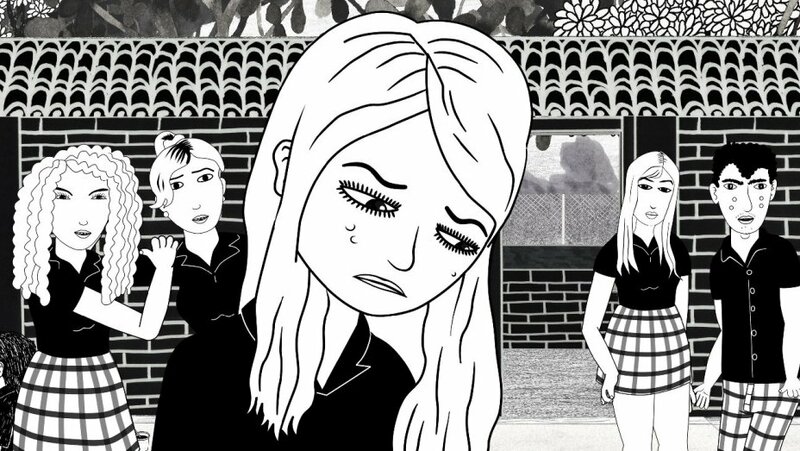 The festival’s wonderful ¡Viva el Cine! series, programmed by MVFF Senior programmer Janis Plotkin with the help of Claudia Mendoza Carruth, turns five this year. The line-up has doubled to include 15 award-winning Latin American and Spanish language films and there’s even a new ¡Viva el Cine! Launch Day that brings a fiesta to the Smith Rafael Film Center. With films from Argentina, Chile, Colombia, Cuba, Ecuador, Mexico, Spain and the US, the series’ spellbinding storytelling and special guests make it an increasingly influential forum for the exploration of history, culture and identity. It all begins Sunday morning at the Smith Rafael Film Center with a family-friendly fiesta with live mariachi music, Day of the Dead face painting, fresh churros and hot chocolate. 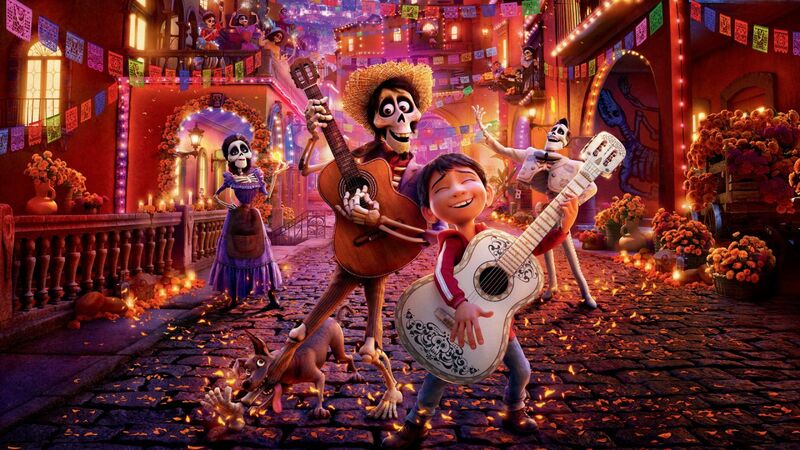 At 11 am, on Smith Rafael 1’s big screen, is the first Marin-ever screening of Coco, the Oscar-awarded, Pixar family favorite in Spanish with English subtitles, so that all children attending can both listen and read it. Running concurrently in Smith Rafael 3, is the acclaimed coming of age drama, Too Late to Die Young (Tarde para morir joven), directed by Chilean Dominga Sotomyer, who will be in attendance. This is Sotomayer’s second feature film and its set in 1990 Chile, with three main characters, ages 10, 16 and 16, who experience the pain of unrequited love and begin in their own ways to relate to the complexities of their parents’ world, all against the back-drop of a society reeling from Pinochet. 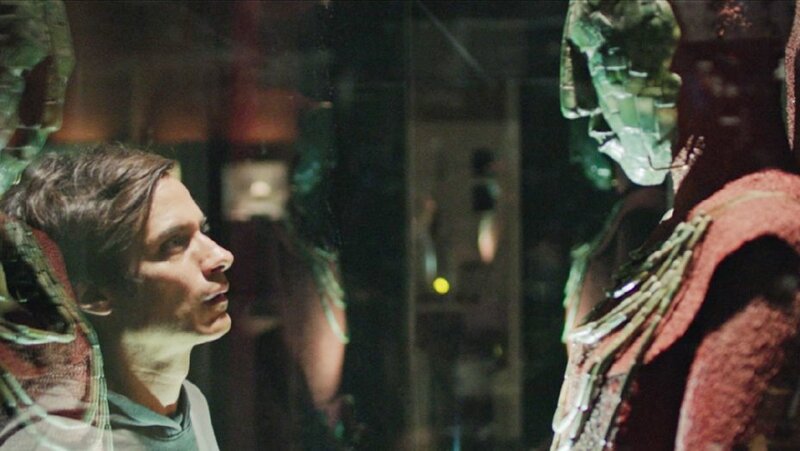 At 2 p.m., Mexican Director Alonso Ruizpalacios will be in attendance for the screening of Museo, an art heist thriller with Gael García Bernal, based on the 1985 robbery of more than 100 Mesoamerican and Mayan artifacts from Mexico’s National Museum of Anthropology. Winner Best Screenplay award at the Berlin International Film Festival. At 8 pm, Argentinian director Luis Ortega’s fourth feature, the engrossing biopic, The Angel (El ángel), presents a dramatized true story of angelic-looking, baby-faced young sociopath, Carlos Robledo Puch, aka “The Death Angel,” who in the 1970’s embarked on a murder spree across Argentina. Alfonso Cuarón’s Roma, his first film shot in Mexico, since Y tu mamá también (2001) is a meditative masterpiece on the meaning of family that screens as the festival’s Centerpiece. Cuarón will be in attendance for an extensive on-stage conversation about this film, awarded the Golden Lion in Venice for best film and Mexico’s foreign language Oscar submission. 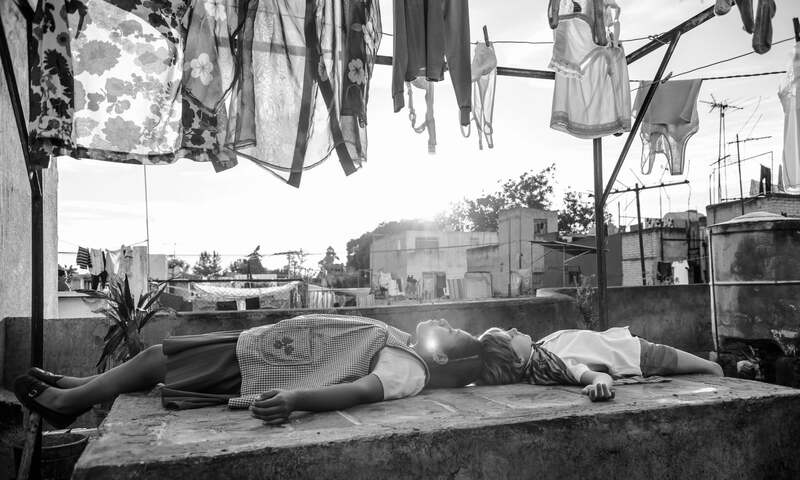 Set in 1970’s Mexico City, Roma follows the life of a quiet live-in indigenous housekeeper, Cleo (Yalitza Aparicio), and the upper middle class family that employs her. Through a series of small moments, both humorous and poignant, there’s a slow build to mounting crisis for both Cleo and her employers. Gorgeously shot in black and white. Every scene and every woman seem steeped in personal memory and deep reflection. Roma is Cuarón’s follow-up to Gravity (2013), awarded Academy Awards for directing and editing. ¡Viva el Cine! also includes films produced in the U.S. that are relevant to Latinos’ experiences here. Benardo Ruiz’s documentary, Harvest Season, set and filmed in the Napa valley, has its world premiere at MVFF41 on Sat, October 13. Through four stories, the film addresses the Latino and Mexican-American entrepreneurs and activists involved in the production and harvest of the grapes that go into premium California wines, small players with fascinating insights. Shooting began in December 2015 and continued during the 2017 harvest, one of the most dramatic grape harvests in decades. Filmmaker David Ruiz, Producer Lauren Capps, and subjects Vanessa Robledo, Maria Robledo, Angel Calderon and Gustavo Brambila will be in attendance. Screens: Sat 10/13 and Sun 10/14. 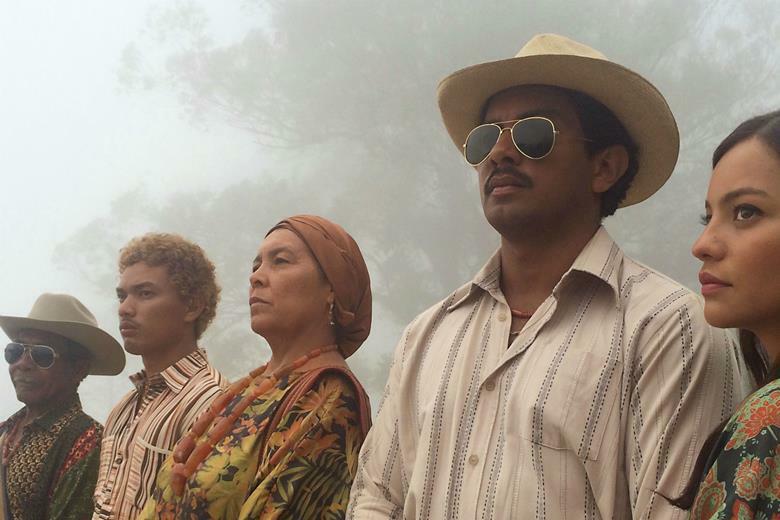 For recommendations, I went to Claudia Mendoza Carruth, who helped program ¡Viva el Cine! She is well-respected for initiating and running the Sonoma International Film Festival’s Vamos Al Cine and she regularly attends Havana’s Festival Internacional del Neuvo Cine Latinoamericano (or Havana Film Festival). 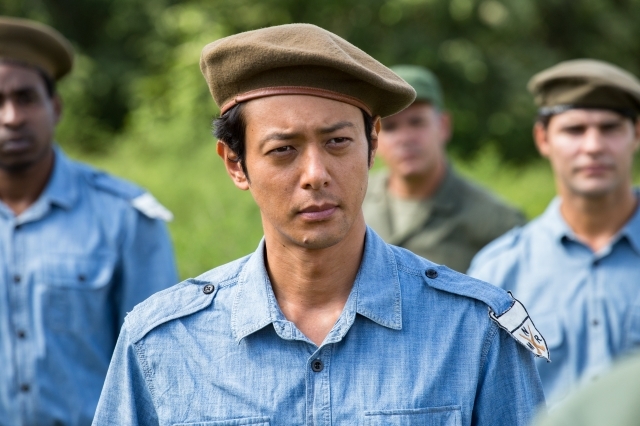 (Read ARThound’s review here) This year, she brought some of the best films from the Havana festival to MVFF and is especially excited to screen the Cuban film Sergio and Sergei with Cuban actor Héctor Noas to MVFF for an audience discussion. 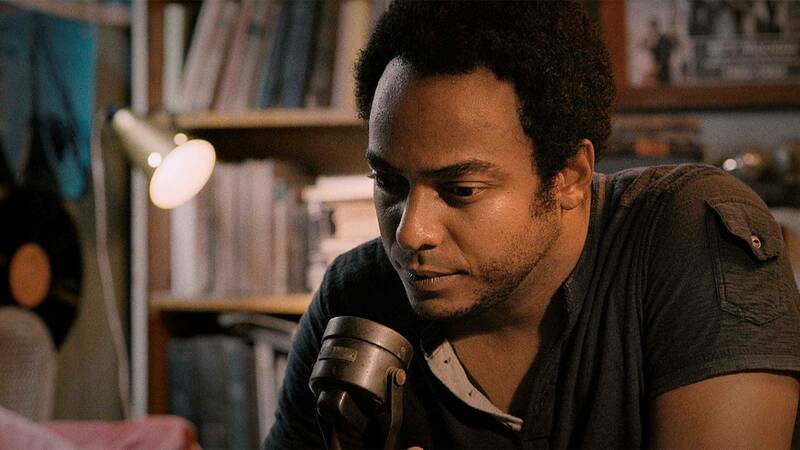 One of the first films to come out of Cuba that has outer space effects, Ernesto Daranas Serrano’s Sergio and Sergei, is a story of human communication between Earth and the Russian Mir space station. The engaging and very funny satirical drama is set in 1991, during a period of economic hardship for both the unraveling USSR and Cuba. Sergei (Héctor Noas) is stranded satelliting Earth on Mir space station, unable to descend and, by chance, communicates with Sergio (Tomás Cao), a ham-radio buff and professor of Marxism in Havana who is unable to support his family. A friendship forms as both men realize they share feelings of geopolitical isolation. The film is shot in Havana. Héctor Noas in attendance. Screens: Tues 10/9 and Wed 10/10. For full descriptions of ¡Viva el Cine!, click here. MVFF41 is October 4-14, 2018. For full schedule and to purchase tickets, click here. Advance ticket purchase of films is essential as they sell out.